Another great animation—this time by a less known director (at least in this corner of the world, but Sunao Katabuchi has also directed the TV series Black Lagoon and the movies Princess Arete and Mai Mai Miracle). This is a very traditional Japanese animation which is not drawn in the cute style we usually associate with anime. It is soft, pastel-like, yet a little sketchy. It is also realistic in its concept but yet cute in its own way. 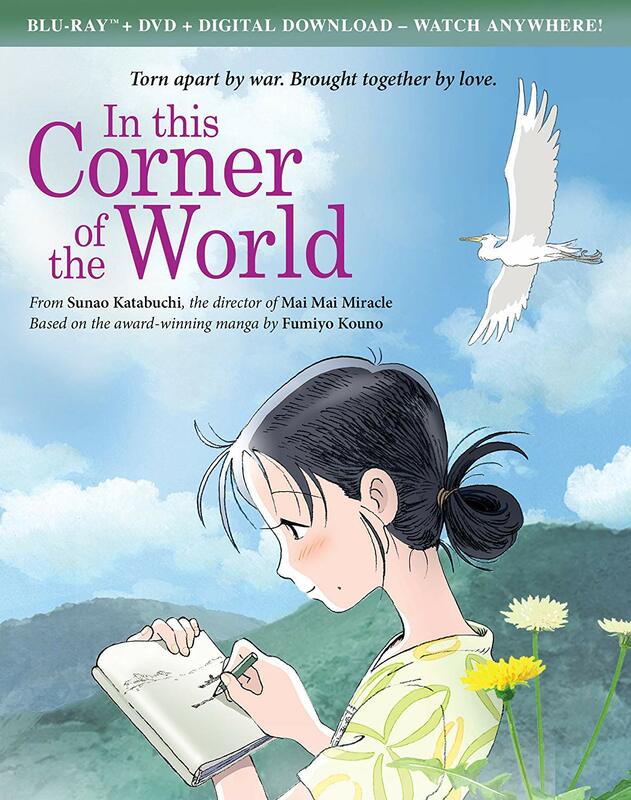 However, despite a good dose of humour (through the awkwardness of the main character and how she sees the world through her drawings), the story is quite serious as it chronicles the life and hardships of a young bride in the pre-war and, later, the WW2-era Japanese countryside in Kure. Despite the cartoony style, it is very precise in the description of the everyday life, the clothings, the food rationing, and the military details (warships, bombings, etc.). It is really touching, beautiful, educational and entertaining (although it is a bit long at 129 mins). Like Grave of the Fireflies describes the life after the firebombing of Tokyo, this movie is painting a detailed portrait of the life of ordinary Japanese citizens in the Hiroshima area before the A-bomb and a little after. It is a must-see movie that has been nominated for and received several awards both in Japan and abroad.